I am a speech pathologist and usually around March, IEP's and assessments really make me busy. It doesn't leave tons of time for planning therapy. So, I made print n' go activities that are all black and white to make prepping easy! Included in these packs are articulation sheets, vocabulary, wh-questions, categories, grammar and craftivities! It is a great set!! 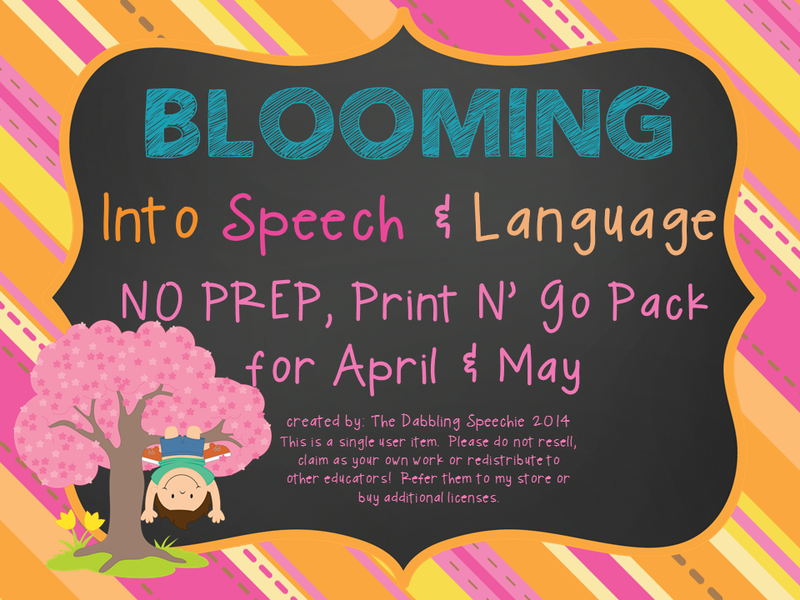 Blooming Into Speech & Language is in my TPT store!